Now it’s your turn. Check out these guideline and share away! I shared my GF Coconut Milk. I hope you like it! Happy Cinco de Mayo!!! I'm thinking some burritos are in order today! Thanks for highlighting my Raw Beet and Carrot Salad. I've linked up another raw recipe that's kind of in Cinco de Mayo spirit…looks like a burrito anyway! 🙂 Have a great day! Hi Diane! 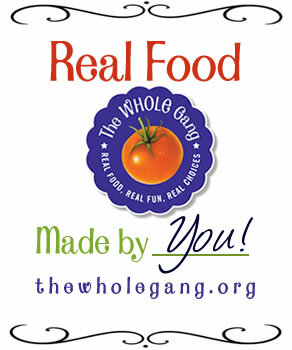 Thank you for hosting Real Food Weekly! Looking forward to checking out what everybody has shared. Thanks for hosting the round up! Diane — Here is my Chicken Soup with Mushroom and Onion. 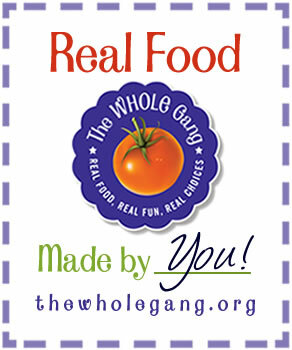 I found that using a few natural, whole foods made making my own soup easy and better-tasting…and better for me. This recipe is gluten-free and casein-free. Valerie sorry crazy week and I didn't have one this week. Please share it next week!